Nic and Paul are back to look at some of the latest news and rumours from Disneyland Paris Join the new and improved Facebook Group - The Official After Dark Podcast Network https://www.facebook.com/groups/1059369490816183 Mail us discoverdlp@gmail.com https://shop.spreadshirt.co.uk/AfterDarkNetwork/ for merchandise or www.patreon.com/disafterdark if you want to support Dis and Universal After Dark and get access to exclusive shows you cannot get anywhere else :-) Check out some of the other shows on The After Dark Podcast Network like Universal After Dark, Everybody's Got One, Bif! Pow! Bam!, Morlando, Sixth Year Seniors, Time Limit Draw, Pencil Neck Geeks, Discover DLP - A Disneyland Paris Podcast, Pop After Dark, The Customer is Always Weird, Breaking Bo****cks and Half and Half Scarves. We have podcasts about Theme Parks, Movies, Pop Culture, Comic Books, Orlando, Wrestling, US College Sports, Football and Comedy. Something for everyone! Paul and Nic are finally back with two episodes. In this first one, they both talk about their recent trips to Disneyland Paris for Star Wars Season and the launch of the Marvel Season. Join the new and improved Facebook Group - The Official After Dark Podcast Network https://www.facebook.com/groups/1059369490816183 Mail us disafterdark@gmail.com https://shop.spreadshirt.co.uk/AfterDarkNetwork/ for merchandise or www.patreon.com/disafterdark if you want to support Dis and Universal After Dark and get access to exclusive shows you cannot get anywhere else :-) Check out some of the other shows on The After Dark Podcast Network like Universal After Dark, Everybody's Got One, Bif! Pow! Bam!, Morlando, Sixth Year Seniors, Time Limit Draw, Pencil Neck Geeks, Discover DLP - A Disneyland Paris Podcast, Pop After Dark, The Customer is Always Weird, Breaking Bo****cks and Half and Half Scarves. We have podcasts about Theme Parks, Movies, Pop Culture, Comic Books, Orlando, Wrestling, US College Sports, Football and Comedy. Something for everyone! This is just to let you know that there is a bonus Disneyland Paris episode of Dis After Dark now live which covers the opening weekend of Marvel Season of Heroes, the Princess and Pirate Soirée and the security alert which happened. Search for Dis After Dark in your podcast app of choice. Join Paul and Nic for a monthly look at the past, present and future of Disneyland Paris. This month we look back at the former occupant of the Cinemagique Theatre for the first 15 years of Walt Disney Studios, the Martin Short staring Cinemagique. We then discuss the current Mickey's 90th Birthday celebrations, Phantom Manor gets a re-opening date and Nic suggests a new theme for "Frozen Land"
Join Paul and Nic for a monthly look at the past, present and future of Disneyland Paris. This is part 2 of a 2 part look back at the Run Disney weekend which happened in Paris over the weekend of the 21st to the 23rd September. In this episode we conclude our thoughts of the 10k, Nic rides Ratatouille, and we look back at the whole weekend including Nic's eventful journey home. 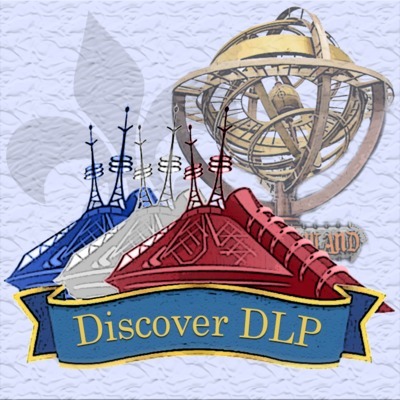 Join Paul and Nic for a monthly look at the past, present and future of Disneyland Paris. This is part 1 of a 2 part look back at the Run Disney weekend which happened in Paris over the weekend of the 21st to the 23rd September. We give you a walking tour of the park as well as discuss our initial thoughts after the 5k and 10k. Part 2 will feature some ride audio and a look back at both the event and the weekend we had in the parks.